The Super Natural Plus™ is just what its name implies — it goes beyond ordinary-sounding acoustic pickups. The Super Natural Plus™ is voiced specifically for dreadnought-sized guitars, where our combination of incredibly crisp treble and tight bass response will allow acoustic players to deal with real-world problems of feedback and muffled tone. The pickup is built into a plastic cover molded to look like dark-grained rosewood. It installs easily beneath the strings, with shock-absorbing foam lining the inside edges of the mounting brackets to keep the Super Natural Plus™ in place and protect the soundhole. If necessary, the foam can be cut down to accommodate guitars with smaller soundholes. There are individual adjustable poles for each string, and the built-in 10-foot cable is thin and light, constructed to be strong and durable. 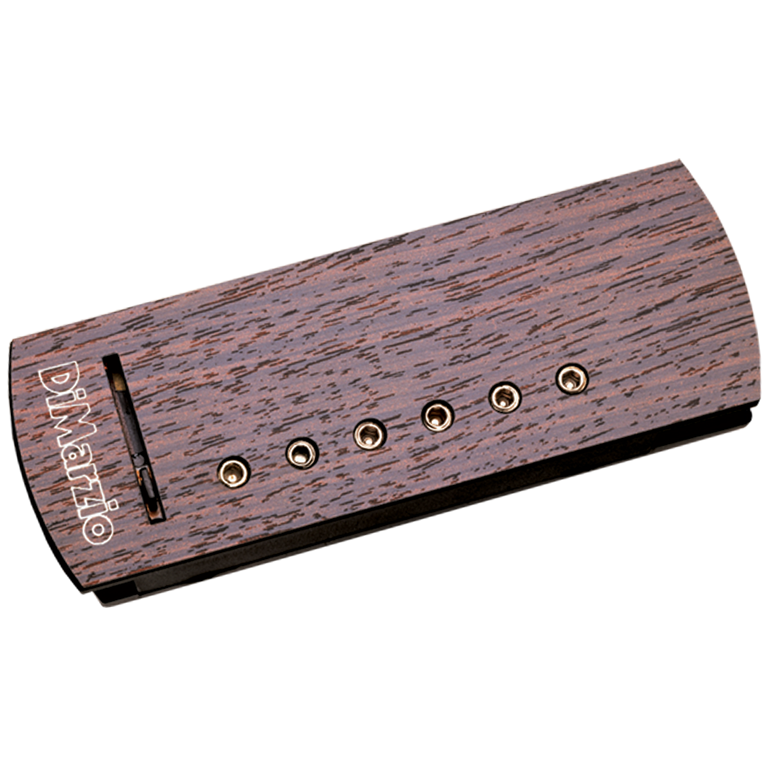 A slide volume control is included with the Super Natural Plus™ for easy adjustment while playing. Simply put, the Super Natural Plus™ is a hassle-free, easy-to-use soundhole acoustic pickup, and the natural choice for outstanding acoustic tone.